It’s Monday… and we think you deserve an after-work drink. 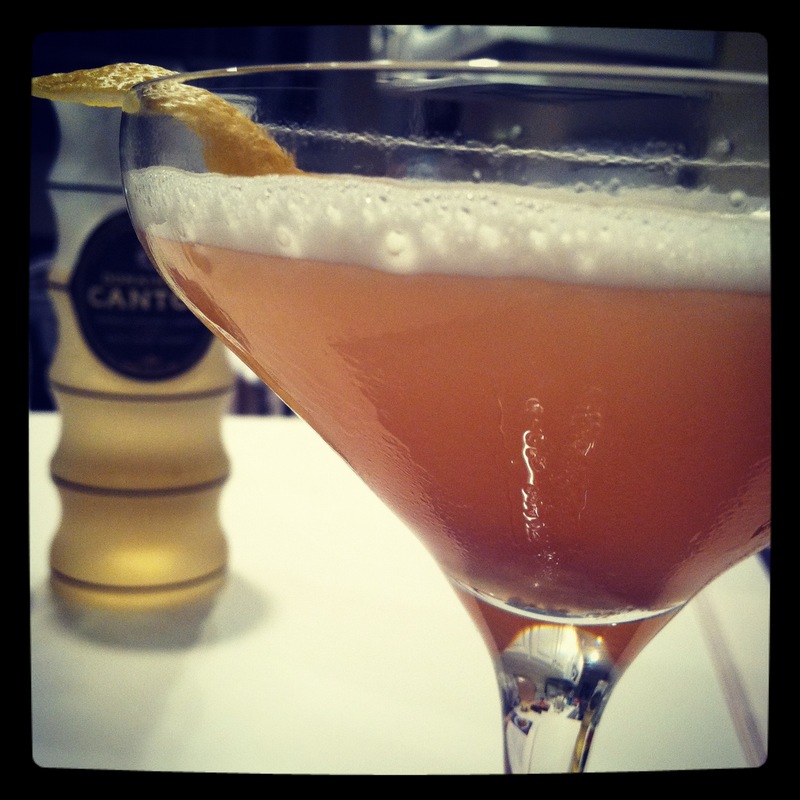 This drink recipe comes straight from the Domaine de Canton website to your belly. It is phenomenal. Domaine de Canton is a ginger liquor, and it makes almost everything taste better. It comes in a super fancy bottle (see it in the background below? )…I’m probably as in love with the packaging as I am the beverage… but we feel sure that, like St. Germaine, there are probably less expensive, snazzy versions of ginger liquor that taste just as good. This cocktail isn’t for sissies. You need to A) like cognac, B) not think egg white in a cocktail is weird, and C) be in the mood to mix something special. This isn’t a complicated recipe, but you have to be willing to take 5 minutes to mix your drink…and depending on your Monday, you might just want a beer. Even if you don’t make this tonight, vow to make it sometime soon – it’ll be a new favorite.